Thank you to Jim Edwards and Lenka Cathersides for this research. Frederick Jack Eveleigh was born on the 22nd of September 1896 in Dorking, Surrey to shoemaker Cecil Collman and Elizabeth (nee Pidler). Frederick was baptised on the 14th of January 1906 at St Paul’s Church in Dorking. At the time of his baptism the family lived at 45 Falkland Road, Dorking. 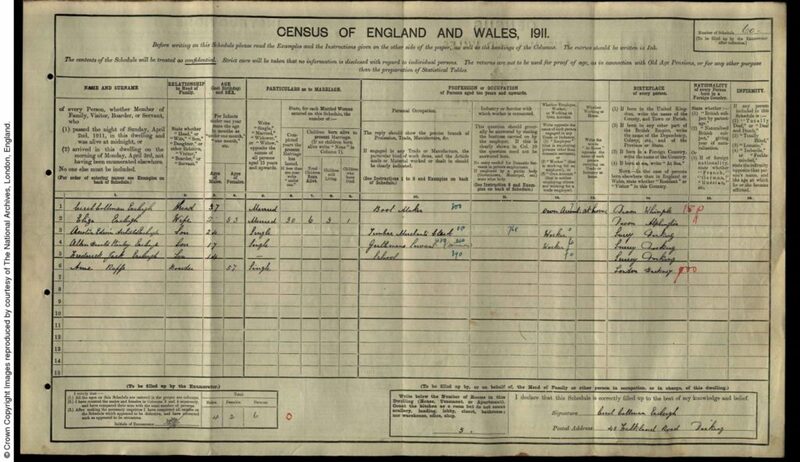 Frederick’s father Cecil Collman Eveleigh was born in the 4th quarter of 1853 in Whimple, Devon to shoemaker and bootmaker Thomas Eveleigh, born about 1831 Plymtree, Devon and Mary Eveleigh, born about 1828 in Whimple, Devon. Cecil Collman was baptised on the 25th of February 1854 in Whimple. 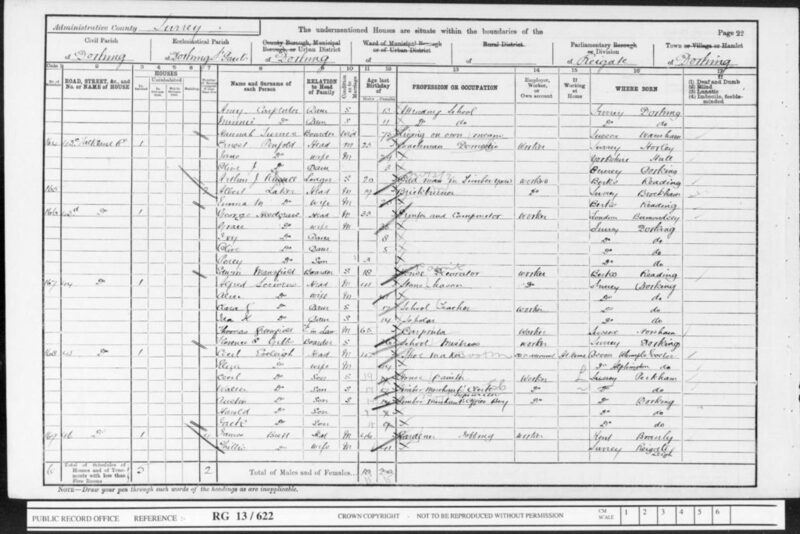 Frederick’s mother Elizabeth was born in the 2nd quarter of 1865 in Alphington, Devon to gardener John, born about 1812 in Bideford, Devon and Eliza, born about 1826 in Lapford, Devon. Cecil and Elizabeth were married on the 22nd of January 1881 in St Peter’s Church in Islington. At the time of their marriage Cecil was a bootmaker and the couple lived at 38 Alfred Street. 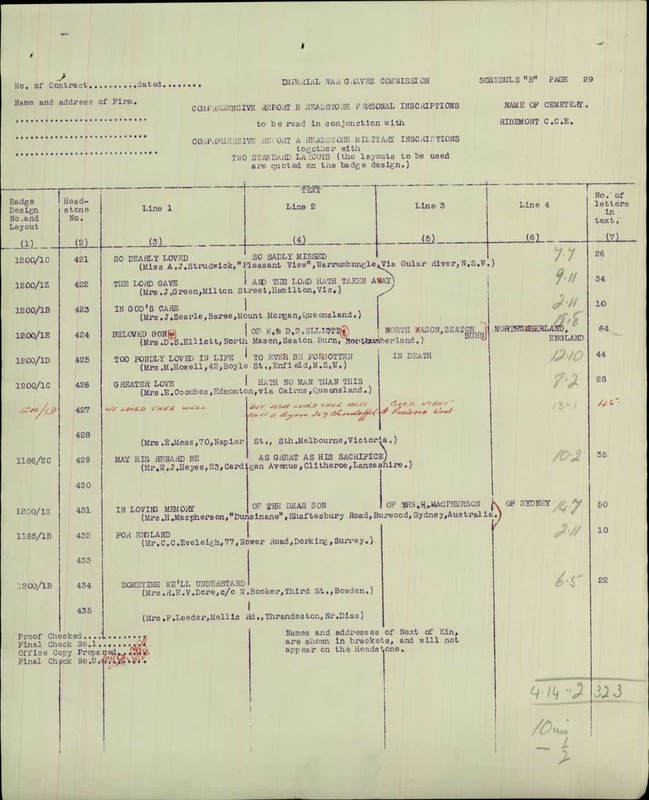 Frederick had four known siblings: Cecil Howard Hugh, born about 1882 and Walter George Rowland born on the 20th of February 1884, both in Peckham. Austin Edwin Archibald born about 1887 and Allen Harold Stanley born about 1894, both in Dorking. At the time of the 1901 Census, the family lived at 45 Falkland Road. Cecil was working as a shoemaker and Elizabeth was at home looking after their children: timber merchant’s clerk Cecil; timber merchant’s office boy Walter, Austin, Allen and Frederick. 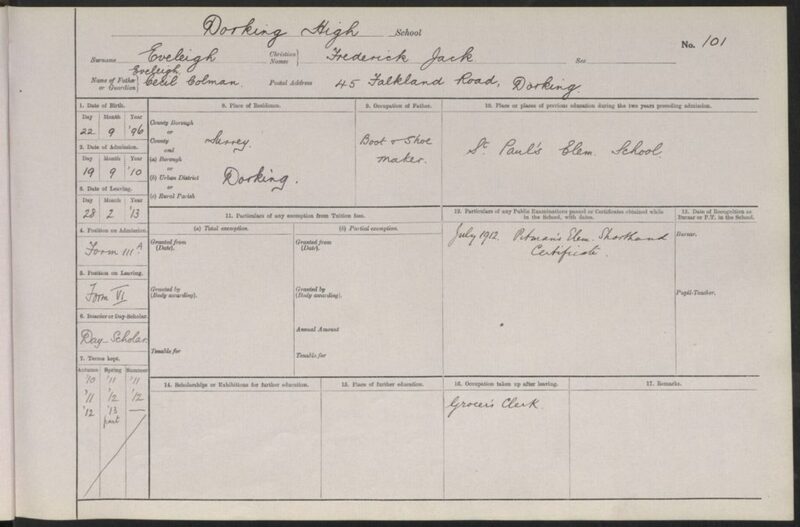 On the 19th of September 1910 Frederick was admitted into Dorking High School for Boys. 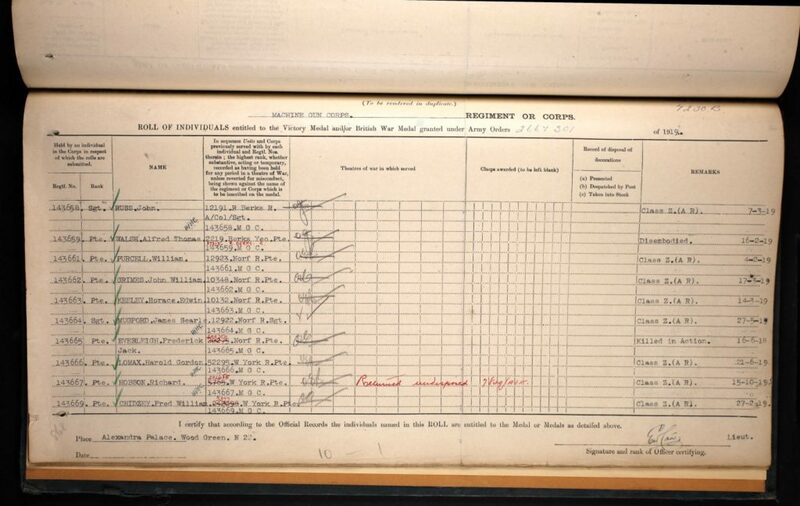 At the time of the 1911 Census, the family lived at 45 Falkland Road. Cecil was still working as a bootmaker and Elizabeth was at home. The household further comprised of their children: Austin Edwin; gentleman’s servant Allen and Frederick and a boarder Anne Raffe. Elizabeth stated that she had given birth to six children of whom five were still alive. The accommodation had five rooms. Frederick’s mother Elizabeth died in 1917 in Dorking. 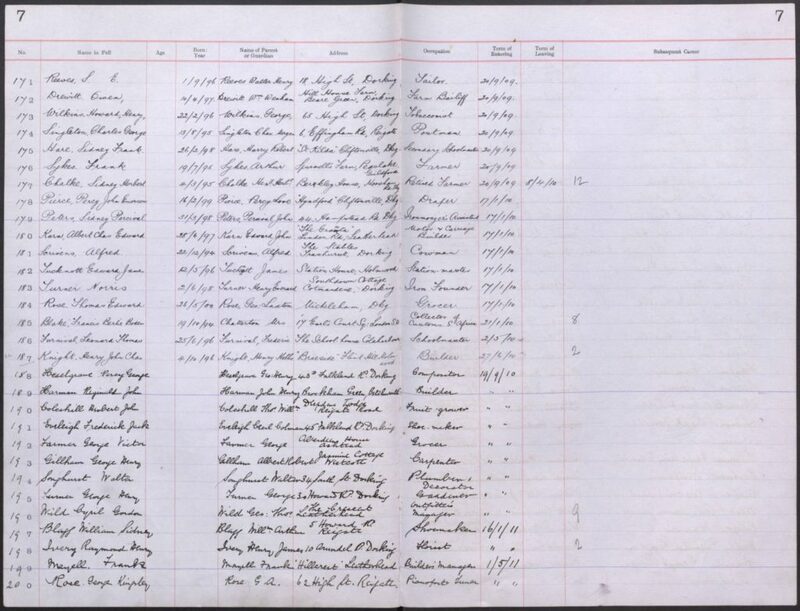 In the 1918 Electoral Register reads that Frederick, Cecil and Allen lived at 45 Falkland Road, Dorking. 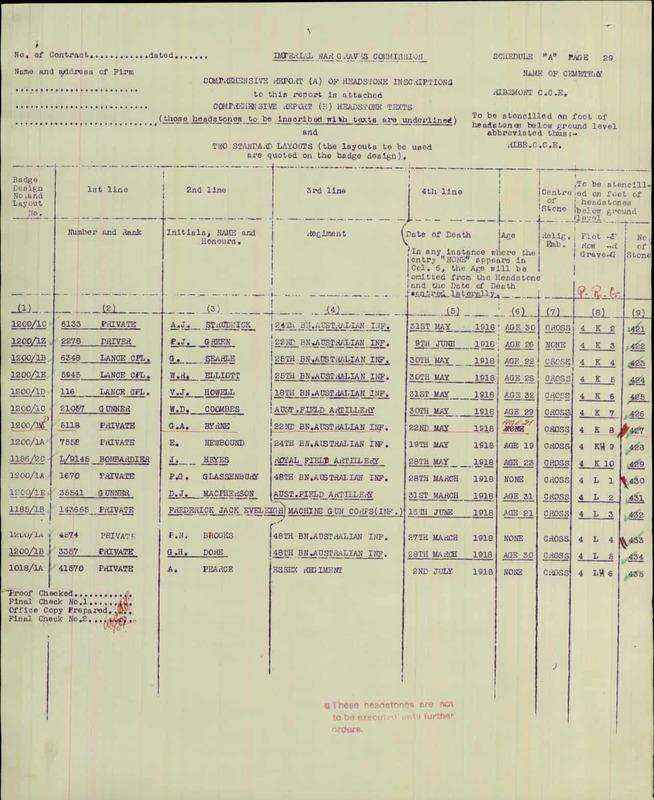 Frederick enlisted in 1915 in Wimbledon into the East Surrey Regiment. He was a Private with regimental number 3172. 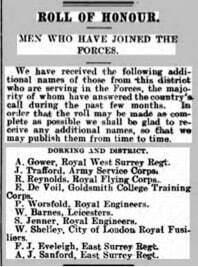 At the time of his enlistment he lived in Dorking, where he was working as a clerk at Messrs H.G. Kingham and Co. Ltd in Station Road in Dorking. 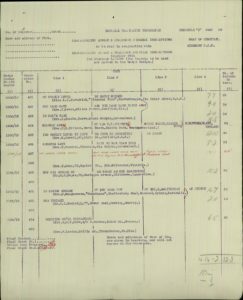 Later he was transferred into the Norfolk Regiment. 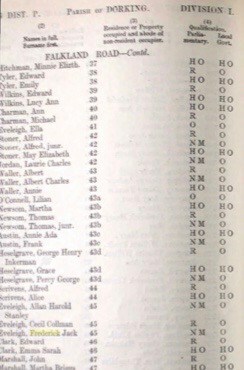 He remained Private and his new regimental number was 202750. 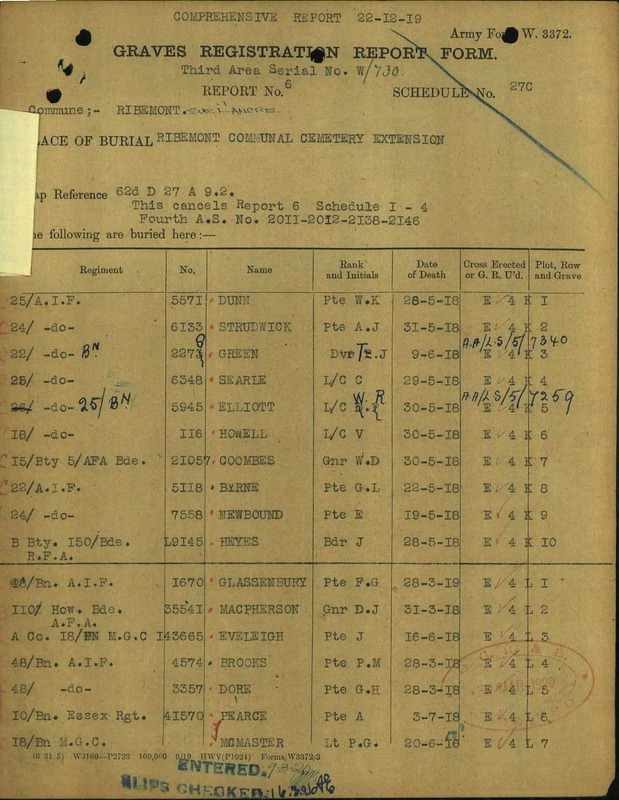 At the time of his death he was part of the 18th Battalion, the Machine Gun Corps (Infantry). 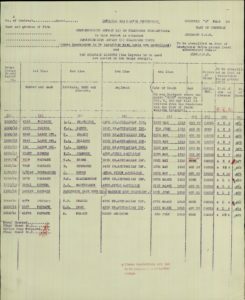 He was a Private with regimental number 143665. He was a dispatch raider in the Machine Gun Corps. 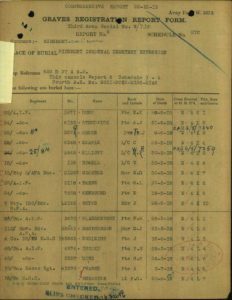 Frederick was killed by a shell which exploded close to him on the afternoon of 16th June 1918, in France. According to a letter from his company commander he was one of his headquarters runners and was always a very good lad, who did his work. 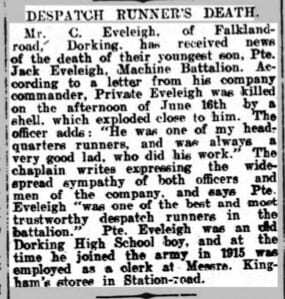 The chaplain wrote: “Pte Eveleigh was one of the best and most trustworthy despatch runners in the battalion”. 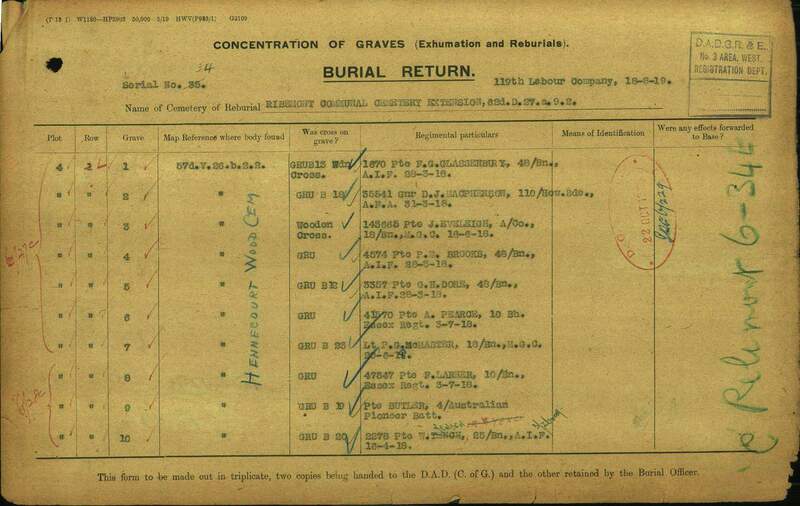 He was re-buried at the Ribemont Communal Cemetery Extension, Somme, France. His cemetery reference number is: IV.L.3. The headstone bears the inscription: “For England”. 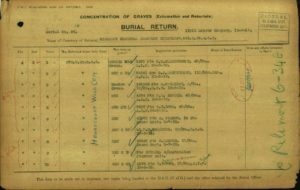 Frederick’s father Cecil received £11 and 6d on the 20th of October 1918; £2, 8s and 9d on the 7th of April 1919 and a further £14 and 10s on the 26th of November 1919 in Soldier’s Effects. Cecil lived at 77 Nower Road, Dorking.